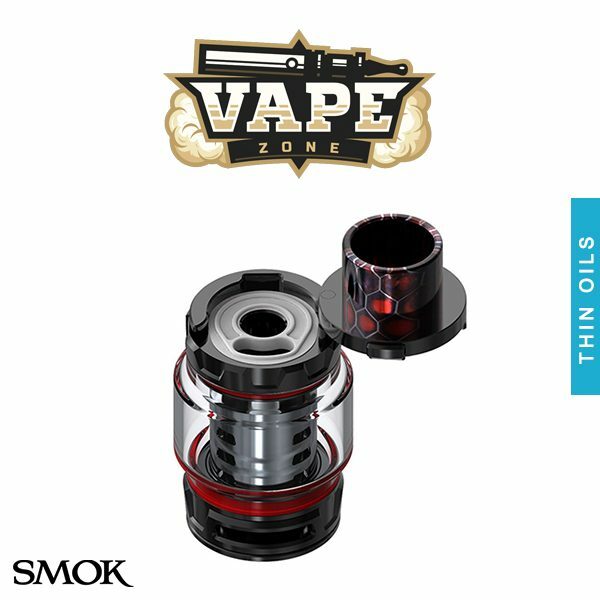 The SMOK TFV12 Prince Sub-Ohm Tank enters the market as the most capable Sub-Ohm Tank ever released, headlined by the extraordinary 120W maximum range of the V12 Prince-T10 Decuple Coil Head, presenting unprecedented vapor and flavour possibilities. 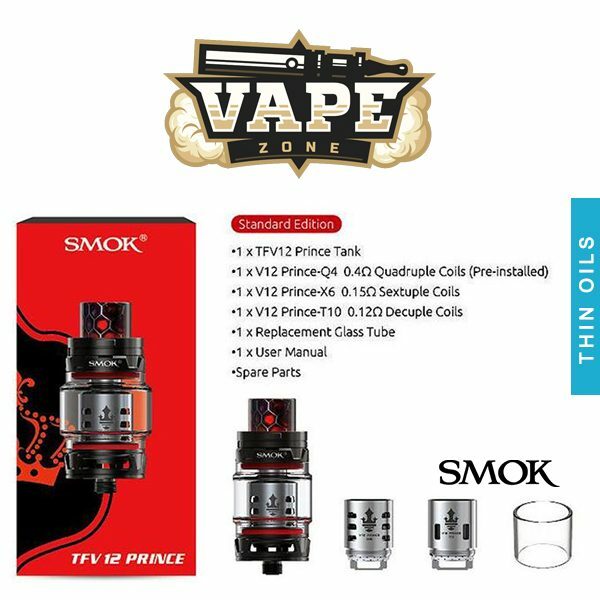 Following up on the world’s most popular Sub-Ohm Tank of 2016 with the TFV8 platform and its smaller editions, the TFV12 Prince elevates the vape tank segment even greater, capable of outputting an incredible 120W maximum with the Prince-T10 coil. The chassis design of the TFV12 Prince features multiple diameters, measuring 25mm at the base and 28mm at the widest point. 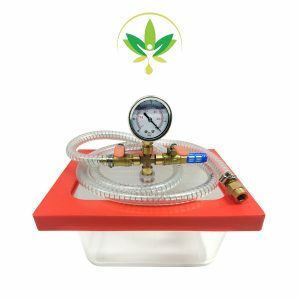 The new press to open Top Fill System that isn’t featured from the previous editions is fully implemented into the TFV12 Prince, with a single fill port and a maximum tank capacity of 8 millilitres. 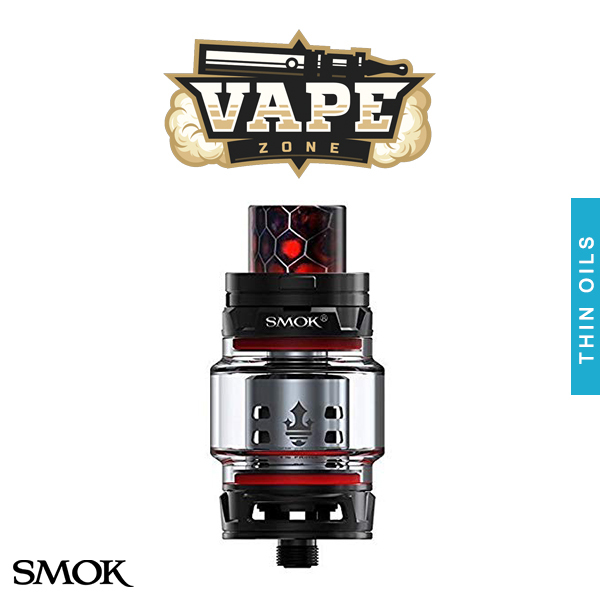 The new SMOK TFV12 Prince Core Family brings the world class and industry leading coil designs implemented in the TFV12 Cloud Beast series to another level, headlined with the T10 Decuple Coil Head that features an unprecedented range of 60 to 120W. 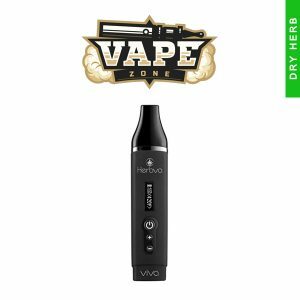 Alongside the T10 are the V12 Prince versions of the popular Q4 coils found with the TFV8, featuring an extended range of 40 to 100W and the new V12 Prince-X6 that ranges from 50 to 120W, respectively. 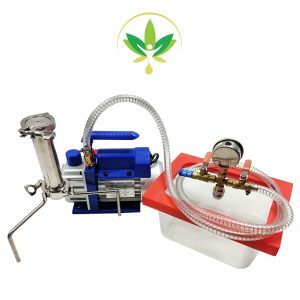 Airflow for the TFV12 Prince is configured around the base of the chassis, providing ample airflow even for the maximal range of the atomizer. 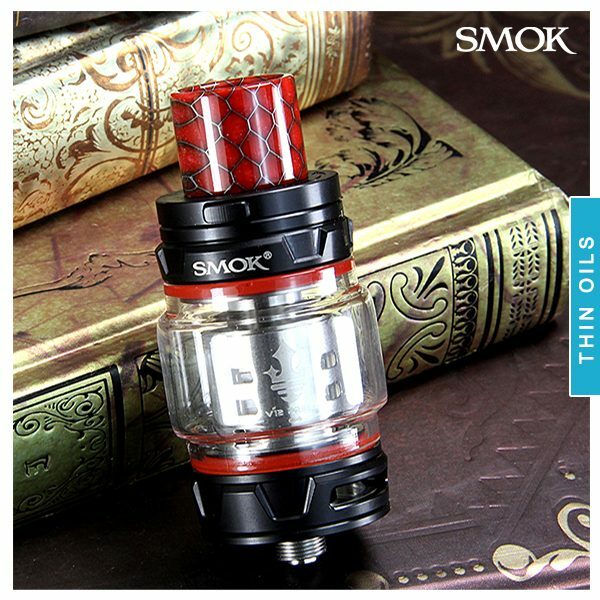 Heralding in the newest generation of SMOK atomizers, the TFV12 Prince Sub-Ohm Tank makes a bold but accurate assertion as the premiere cloud chasing tank on the market.